Set by the Ceredigion coastal path between Aberporth and Tresaith, Madryn is an ideal location for walkers. 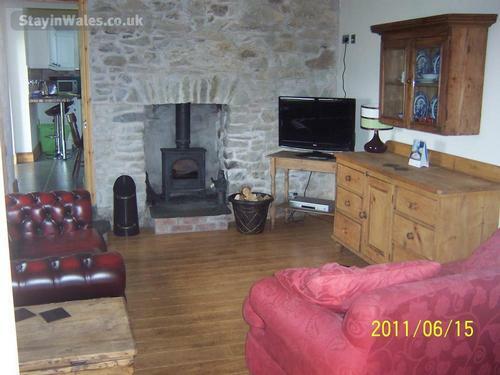 The cottage is just 150 metres walk from the sandy beach. This recently renovated stone cottage has a lounge with sea views, multi-fuel stove, exposed stone walls, bed settee and tv with Freeview and dvd player. 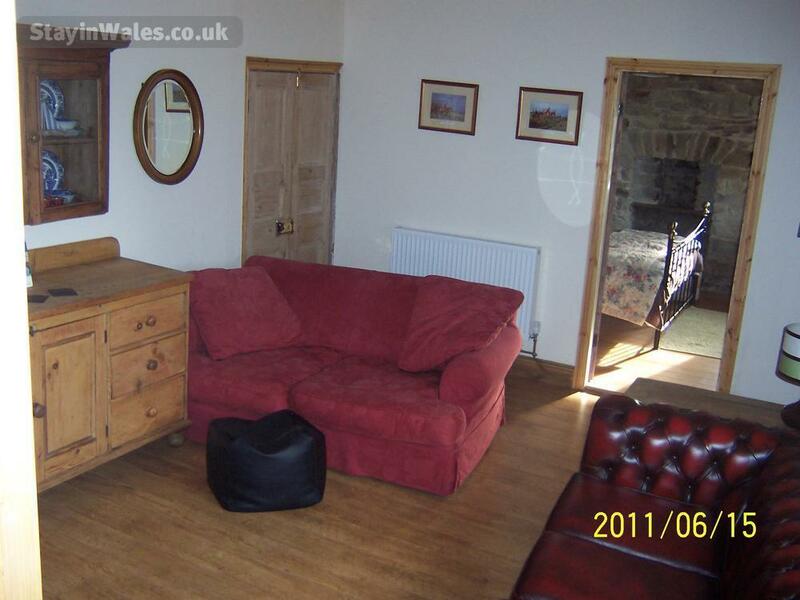 There are two double bedrooms, one with a kingsize bed and sea view, the other with a double bed. The bathroom has bath and shower cubicle. The kitchen diner has an electric oven, hob, extractor, microwave, larder fridge freezer, ipod/cd/dab radio, all the utensils required and dishwasher, a large six seater dining table plus two bar stools, which leads to a conservatory with settee and more seating. This leads directly out to the patio and barbecue area. Decking, barbecue and patio areas with extensive seating, sun loungers provided. The garden backs onto the sea an offers stunning views over Cardigan Bay. There is also a boat/play house for the children to play in. Oil central heating and hot water. The cottage is close to the centre of Aberporth village, so shops, post office, take-aways and pubs are close at hand. 20% deposit will secure booking, balance 2 months before start of holiday. Electricity, heating and bed linen included in the price. Cheques made payable to Adrian Fisher and sent to Black Horse Cottage, Main Road, Betley, Crewe, Cheshire, CW3 9AB, or may be transferred to my bank account, please contact me for details.